Wassily Kandinsky – Floors, 1929. In HD! Click on the image to see Wassily Kandinsky’s Floors in High Resolution, with all its amazing details! 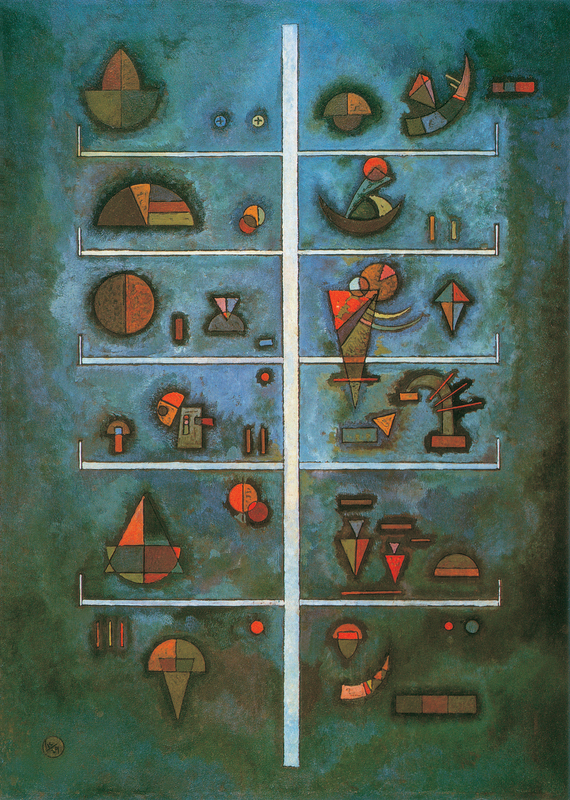 Wassily Kandinsky – Floors (1929). 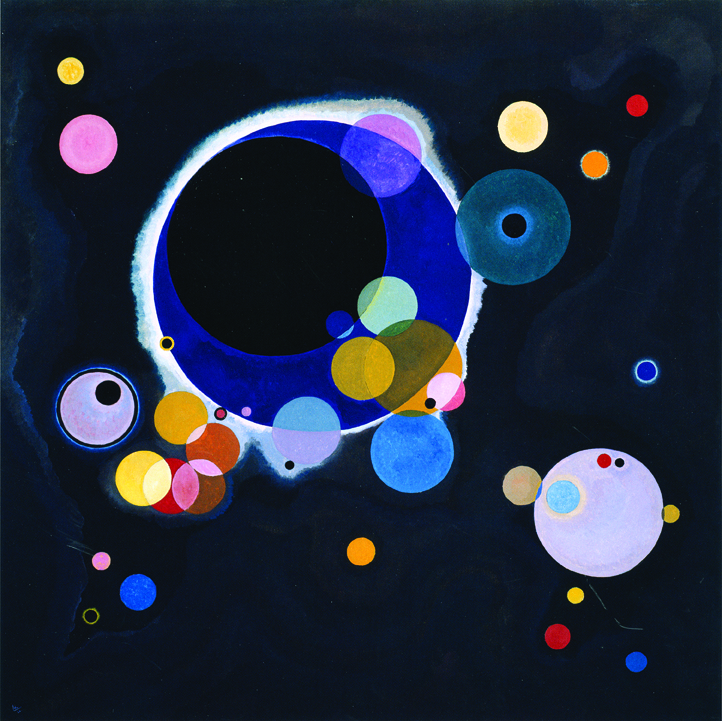 It is said that Russian painter Wassily Kandinsky revolutionised art. The inventor of Abstract Art created works which completely left tradition behind and gave modern art a new direction. How revolutionary his ideas and theories were can be proven by a quick look at his biography. Like many other artists of his kind he got in trouble with several political systems. Untitled, 1915. Watercolour and ink on paper, 22.7 x 33.8 cm. Albertina, Vienna. After having worked for the Soviet regime in post-revolutionary Russia, he – with many other intellectuals – had to leave the country when the Communists tightened control to establish their dictatorship. Then, after living in Germany where he had a very creative period at the Bauhaus, he had to go into French exile after enduring defamation by Nazi propaganda. After that he left Paris to escape from the Occupied Zone, settling in the south of France. Several Circles, January – February 1926. Oil on canvas, 140.3 x 140.7 cm. Solomon R. Guggenheim Museum, New York. 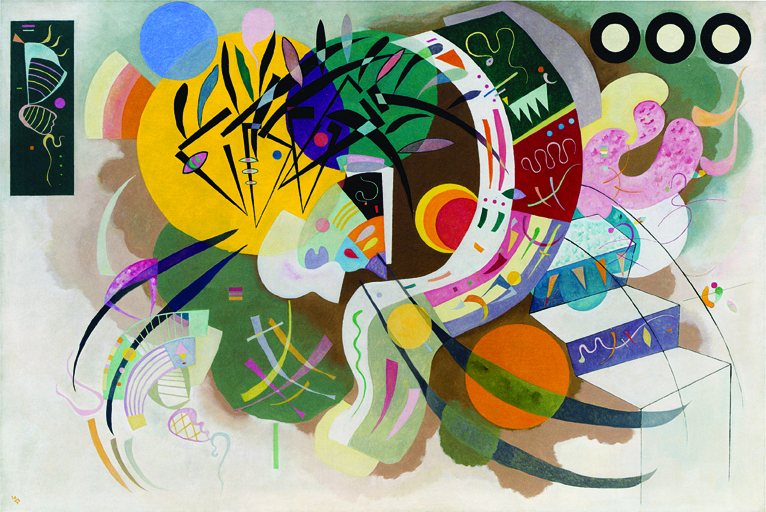 In his text Concerning the Spiritual in Art Kandinsky presents his art theory treating colour and shape. 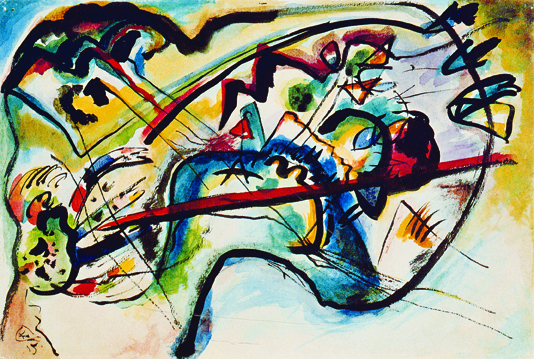 For Kandinsky, colours are a medium to express emotions rather than to depict reality. 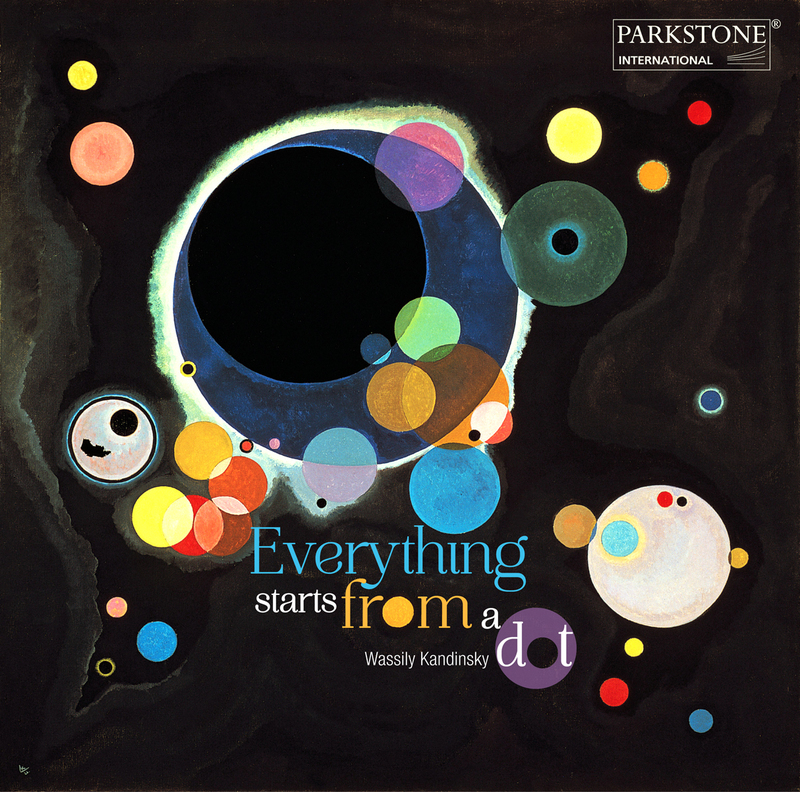 Kandinsky not only sees but feels them: according to him, blue, for example, is a concentric colour which fits best to the shape of a circle. Contrary to that, yellow is an eccentric colour, best fitting to the shape of a triangle. He regards it as “keen” and wonders about the coincidence that lemons (sour) are yellow (same counts for the shrill singing of a canary bird). Dominant Curve, April 1936. Oil on canvas, 129.2 x 194.3 cm. Solomon R. Guggenheim Museum, New York. A slight synesthesia might have influenced his theories, but it is rather a general understanding of colours and their effects on the human mind that guide his writings. Leaving all representational matters behind, he tried to find a subconscious truth below the surface of appearance – a free thinker at its best.